From his earliest roles, Academy Award® Winner Daniel Day-Lewis impressed audiences and critics alike, moving easily from a working-class punk in My Beautiful Launderette to a foppish Victorian suitor in Merchant-Ivory's A Room with a View. Together these performances earned him 1986's New York Film Critics Circle Award as Best Supporting Actor, the first of a string of accolades, including three Academy Awards® for Best Actor, four BAFTA awards for Best Actor and two Golden Globes for Best Actor. Day-Lewis also won the Screen Actors Guild Award three times, the New York Critics Award five times and three LA Critics Awards. Though Day-Lewis has continued to turn in one highly-praised performance after another, it was his role as writer, artist and cerebral palsy sufferer Christy Brown in My Left Foot for director Jim Sheridan which won him an Academy Award® for Best Actor. Day-Lewis has also been honored with Academy Award® nominations for his performances in In the Name of the Father, his second collaboration with Sheridan - the true story of a man unjustly imprisoned for 15 years - and for his portrayal of Bill, The Butcher in Martin Scorsese’s Gangs Of New York. In 2008, Day-Lewis earned another Academy Academy Award® for Best Actor as oil prospector Daniel Plainview, in Paul Thomas Anderson’s There Will Be Blood. In 2013, Day-Lewis won his third Academy Award® for Best Actor as the title character in Steven Spielberg’s Lincoln. 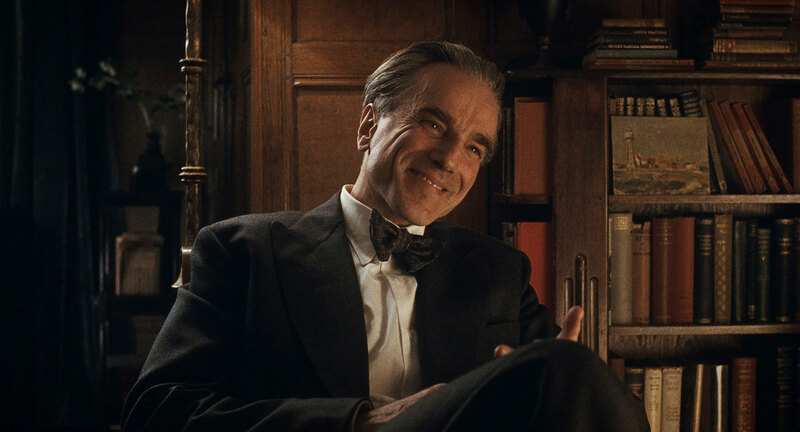 He will next be seen in Paul Thomas Anderson’s Phantom Thread. Day-Lewis's additional film credits include the early American adventurer Hawkeye in The Last of the Mohicans, the aristocratic Newland Archer in his first collaboration with Martin Scorsese, The Age of Innocence, Philip Kaufman's film version of The Unbearable Lightness of Being, in which he won praise for his memorable performance in the leading role, and the Arthur Miller classic The Crucible, in which he portrayed Puritan John Proctor opposite Winona Ryder, directed by Nicholas Hytner. He joined up with Jim Sheridan once again for the lead role in The Boxer, and was later seen in Rebecca Miller’s powerful and poetic The Ballad of Jack And Rose. In 2009, Day-Lewis starred in Rob Marshall’s film adaptation of the Broadway Musical hit, Nine, opposite Judi Dench, Nicole Kidman, Penelope Cruz, Marion Cotillard and Kate Hudson. Born in London (but now an Irish citizen), Day-Lewis was first introduced to acting when he was at school in Kent, England. His acting debut was in Cry, The Beloved Country and his film debut was at the age of 14 in Sunday Bloody Sunday, in which he played a vandal in an uncredited role. He later applied and was accepted to the renowned Bristol Old Vic Theatre School, which he attended for three years, eventually performing at the Bristol Old Vic itself. In the 1970s and early 1980s, we worked on stage, appearing with the Bristol Old Vic Theatre Company, the Royal Shakespeare Company and the Royal National Theatre, turning in notable performances in Another Country, Dracula, Futurists and Hamlet, in which he played the title role.